I'm hoping you can help me get the sages I want on time for planting in my area, which has chilly winters. Last year, I ordered from a different mail-order nursery. They promised to ship at "the best time" for my USDA zone, then mailed my plants weeks after the beginning of planting time. Some of them would have benefited from cool spring planting, but didn't get into the ground until the weather was hot. This seemed to slow their growth. This made me crazy! It seems like a good idea to get the jump on spring planting by ordering months ahead of the growing season. I wouldn't want the sages I need in spring to sell out. When do you start taking orders? May I place an order now to be delivered in a few months? Shipping occurs year round at Flowers by the Sea, because we serve customers in many different USDA Plant Hardiness Zones, including areas where people garden year round. Also, our production and shipping process is designed to help you get the plants you need in timely fashion. We remember times when we've felt crazy due to not being able to plant according to our garden plans. So we understand your frustration about deliveries that conflict with planting dates in your zone. We can help you. However, we can't accept orders months ahead of delivery. Instead, our pre-ordering process, schedule of shipping dates and a simple button built into the plant description pages in our online catalog allow you to sync your planting schedule with our growing schedule and to get first dibs on stock when it becomes available. Before I describe how to use these tools, I need to say that FBTS is different from most mail-order nurseries, which almost never have a comparable ability to ship year round. Most of these businesses book orders beginning in late February or early March and don't promise a set shipping date as we do. They can't predict as precisely as FBTS can when specific stock will be available, because -- unlike FBTS, which is a farm as well as a nursery -- many nurseries don't grow everything they sell from start to finish. So their deliveries may arrive well past prime planting time for you or before you are ready. 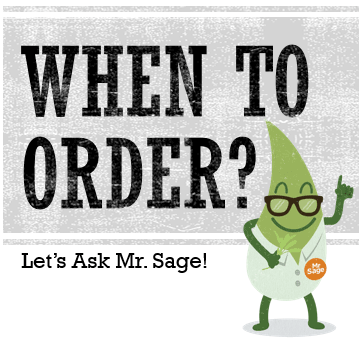 We let you choose a shipping date; most other mail-order nurseries don't. We offer ways to advance order plants weeks before delivery. Our email alerts let you know when currently out-of-stock plants are available for preorder or when they are back in stock. Also, we don't grow all of our species year round, so we provide estimates of seasons when limited availability plants will be purchasable. You'll find this information on their plant description pages. Plants Currently in Stock. If a plant is in stock you may order it for any of the scheduled shipping weeks (usually a four-week span starting with the next available shipping date), which are noted on our shopping cart page. Preorders of Out-of-Stock Plants. You may pre-order plants when they are out of stock but in production up to four weeks before they will be ready for shipping. This is particularly helpful for obtaining rare and limited items that sell out rapidly when available. Here is how the preorder process works: If a plant is in production, we post a message about its estimated availability date in the Details box on its description page four weeks before it's ready to ship. You may preorder just the same as you would order a currently available plant. Either way, we don't charge you until we ship. You get to pick the delivery time based on the scheduled shipping weeks listed on the shopping cart page. The shipping window is usually four weeks long, but sometimes longer if it includes non-shipping weeks that are unavailable due to holidays. Spring Limited & Special Order Programs. FBTS produces hundreds of different kinds of plants, but some aren't available year round due to less demand or a limited planting season. Our Spring Limited Program and Special Order Program make it possible to grow the broadest range of Salvias possible, while also freeing greenhouse space year round for our most popular choices. As their name implies, spring-limited varieties aren't sold summer through winter. However, they may be preordered beginning in winter for spring delivery. Special order plants are ones we grow specifically for you when requested. It takes about six weeks for a special order to ready for planting. We understand that the availability and shipping process we've detailed here may seem complicated at first. Please feel free to call or email us for further information, because we remember times when we've felt crazy about learning a new process. Speaking of crazy, look below and you'll find Daniela Andrade's soft version of the jazzy 2006 Gnarls Barkley mega-hit Crazy (a cultural anthem of sorts for the beginning of the 21st century) to enjoy as you begin drafting garden plans. We'll do our best to hip-hop to it whenever it's time to ship your orders.